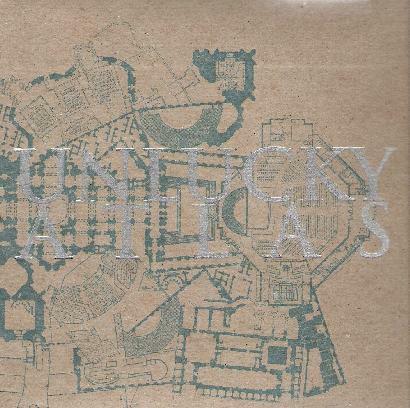 Chicago's Unlucky Atlas are not easily categorized, which is certainly one of their strengths. While they prefer an all-acoustic form of music much like many of the emerging New Weird America artists, they are less fey and light-hearted. Multiply layered strumming and picking guitars, autoharp and mandolin from members André Foisy, Terence Hannum and Erica Burgner achieve notable heights of intensity. Similar to bands such as Godspeed You Black Emperor, they effectively utilize great changes in dynamics, and buoy their sound with unusual instruments, notably Kelly Rix's sharply played cello and even fiddle from André. The music is deliciously dark, and with lines in the lyrics such as, "All nations cower to the torrent that devours. And when it's done, the end will come..." and "Our days among the dead have not passed, tenuous and tense," there's a downright apocalyptic feel to the proceedings. The seven songs, some shorter connecting instrumentals, some longer pieces with lyrics, all run one into the next, and with recurring imagery in the lyrics, one gets a definite sense that this is really intended as one half-hour long opus. Indeed, once popped into the CD player, it's difficult not to listen to it all the way through. It's haunting, seductively drawing you right into its mesmerizing sonic web. You won't come out of it humming catchy melodies or tapping your toe to a good beat, it's not that kind of music, but you will feel a little changed inside. And like me, when it's over, you'll likely hit play again and let it take you over one more time. "The new American century waits and weeps to a dream, not all a dream, a new frontier," Erica Burgner sings in lingering opening notes in Forward Presence, the final section of the album. It's likely referring to something a little more political or spiritual in nature, but it could just as easily be foreshadowing this emerging new folk scene that is slowly becoming more and more prevalent in America and abroad, and Unlucky Atlas hopefully will not be so unlucky as their name suggests, and find themselves at the head of this "forward presence". Highly recommended. For more information you can visit the Unlucky Atlas web site at: http://www.unluckyatlas.com.